The time has come to dig out our cozy sweaters, pull on our beanies (those who didn’t leave them on all year—you know who you are) and defrost by the crackling fireplace as we carve our pumpkins. Who am I kidding?! This is Los Angeles—where jack-o-lanterns rot faster than your brain on Instagram. 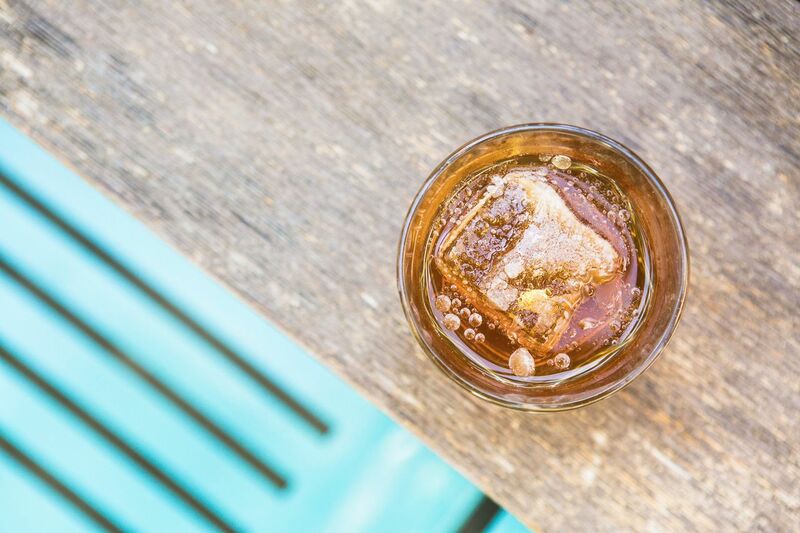 But why should we miss out on a perfectly good excuse to imbibe? The air conditioning here is really freaking cold. If the Russians drink vodka like water and blame it on the harsh climate, why can’t we? 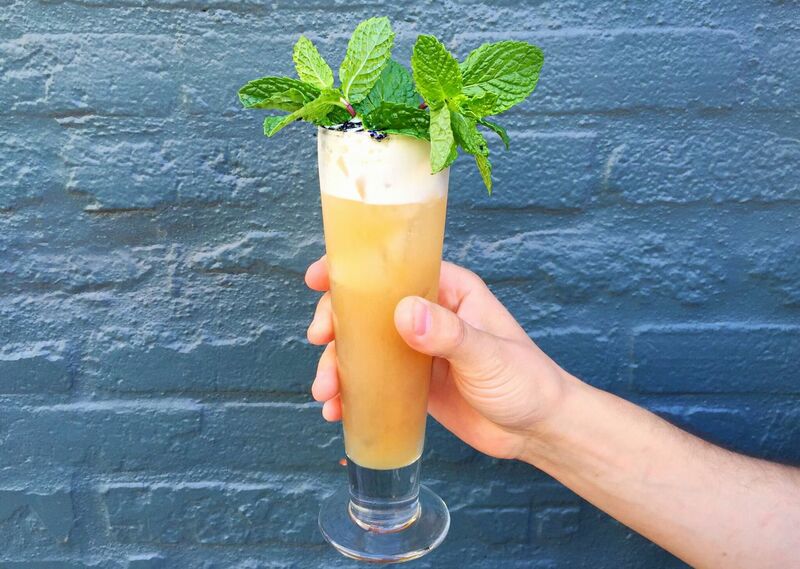 So, who’s mixing up the most alluring fall cocktails across the city right now? 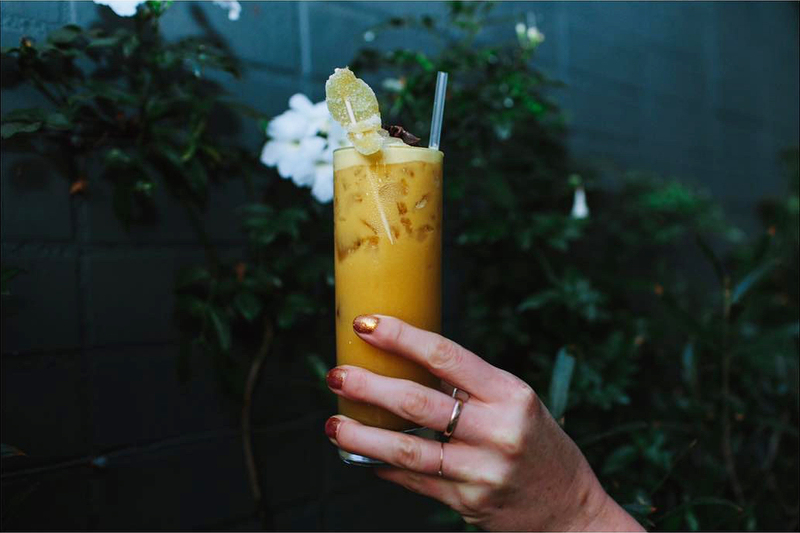 We got the low-down from the crème de la crème of LA’s bar scene so that you don’t have to wander aimlessly through those ‘arctic’ streets on your own. With names like Black Magic and Velvet Underground, and with notes of cinnamon, ginger, smoked apples, prickly pears, butterscotch and even some CBD hemp oil, there are plenty of libations to satisfy your every autumnal whim. 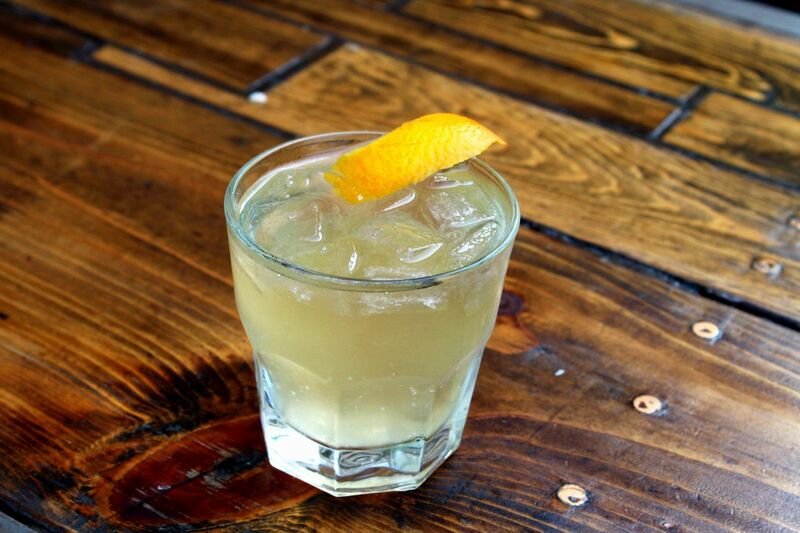 Choose gin, rum, vodka or tequila with confit pear, St. George Pear Brandy, baking spices and lemon. Gregory Westcott (Bar Manager): Pear is such a complex yet unassuming flavor, which lends itself to the spirit being the star of the cocktail. I imagined a grandmother's freshly baked pear cobbler with cinnamon, clove, and other baking spices. The best way honor that experience is by adding some booze. 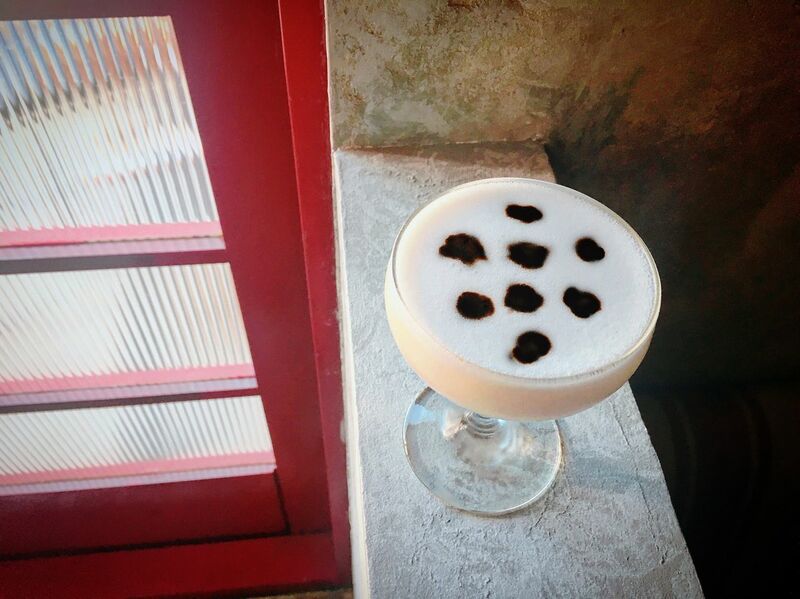 Joe Swifka (Bar Manager): La Perla Negra is a great drink for fall, or what we call fall in Los Angeles. It's a variation on one of my drinks called The Black Pearl, which was basically an Old Fashioned with black strap rum and bourbon. La Perla Negra replaces reposado tequila for the bourbon. The bitters used are Fee Bros Whiskey Barrel Aged Bitters, which add a cinnamon note to the drink, coupled with the black strap rum, give it a very warming, cozy fall feel to the drink. Brynn Smith (Bar Manager): This is what Cruella DeVille would have for a hair-of-the-dog breakfast after a long night out. It’s a London dry gin egg white sour—super floral, creamy, and light, but with legs to hold up to the coming cooler weather. The aromatic bitters are mixed with a touch of activated charcoal to give the spots their rich, dark brown color. Edwin Cruz (Bar Manager): I always planned the Gold Collar as a late summer, early fall cocktail. I once described it as liquid sunshine — It's like those first few rays of sunlight that hit you on a breezy Sunday morning, welcoming you to the day. 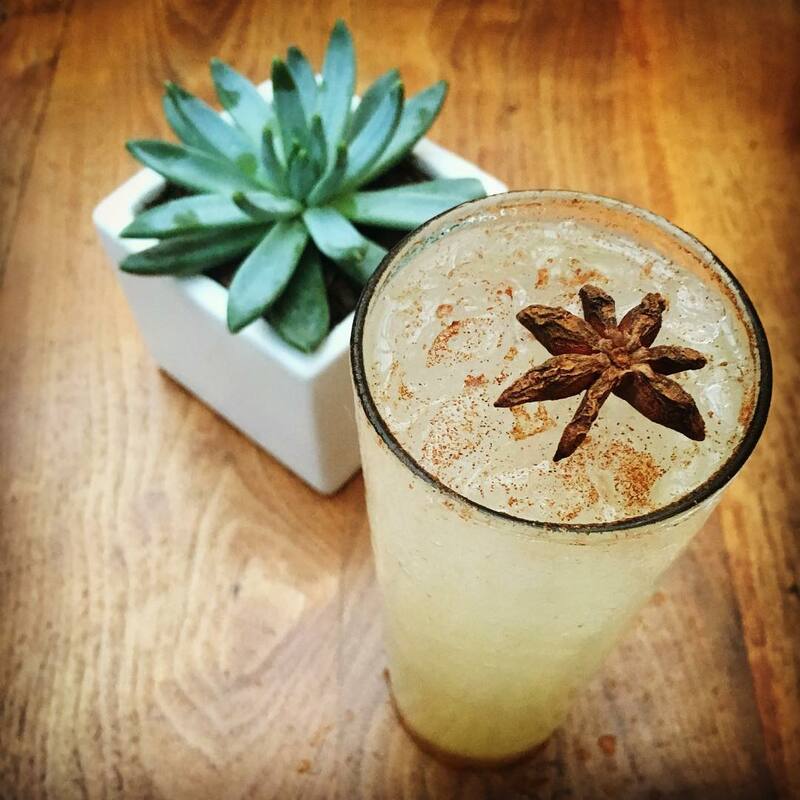 I wanted to make a cocktail that took cues from our horchata so using the same vegan base of quinoa, wild rice, toasted almonds and spices and I decided to add fresh pressed ginger and turmeric root for an additional healthy pick me up. 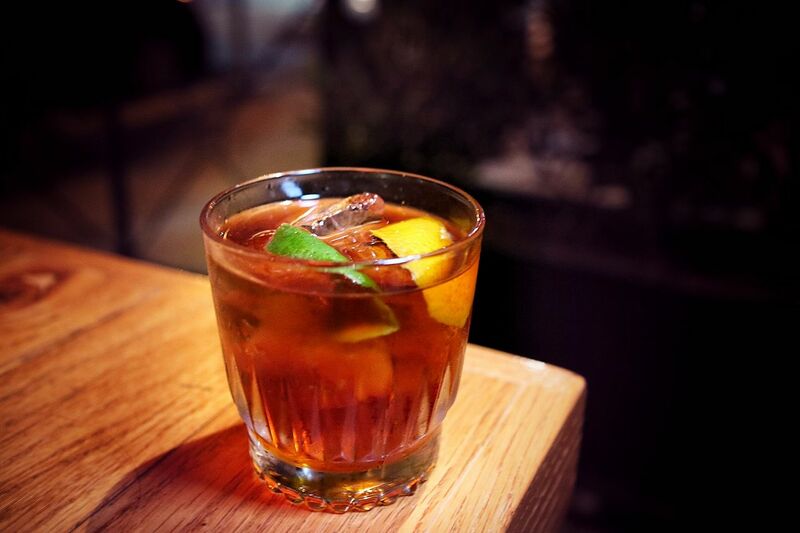 The addition of the rum and apricot liqueur gives it depth and some nice spicy fruit notes that make the cocktail silkier, and mellow out some of the ginger heat. Darwin Pornel (Lead Bartender): This cocktail is a loose take on a mule or buck. 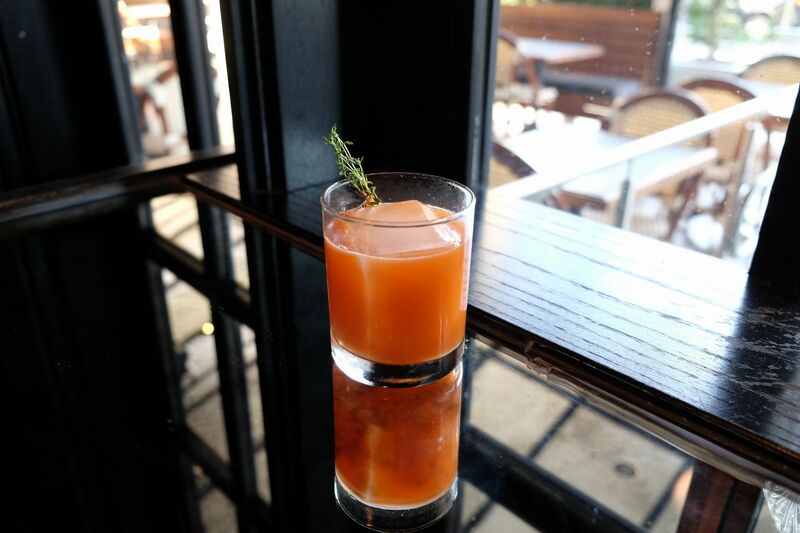 The ginger, thyme and carrot work to provide a refreshing, but savory and rich rum drink. 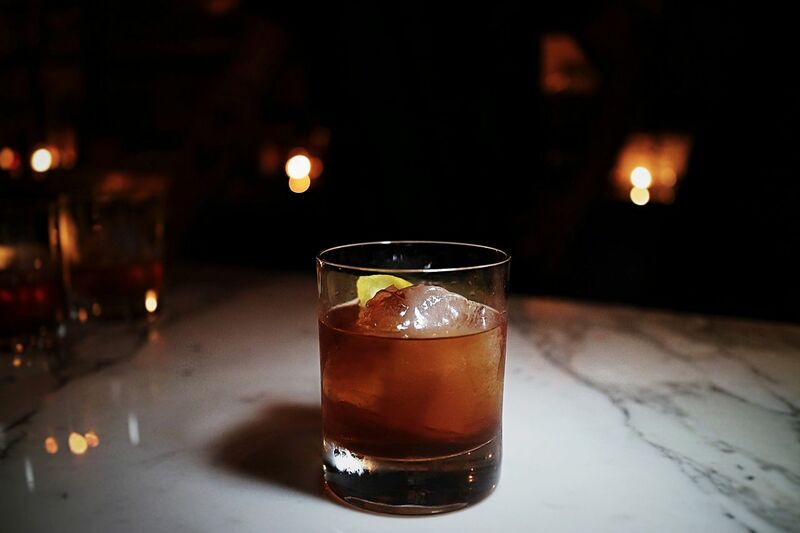 Mezcal anejo, bourbon, housemade sarsaparilla, aromatic bitters and CBD oil (yes, that's THC’s cousin who won’t get you high, but will hit you with a healthy dose of chill). Comes with mini vegan churro in dimebag. Jason Eisner (Beverage Director): Fall is a great time for aged spirits. Oak, in general, is a fall staple in North America. The weather gets cold and wet, fireplaces roar, and the smell that is generated takes us back through our psyche to our fondest of childhood memories. 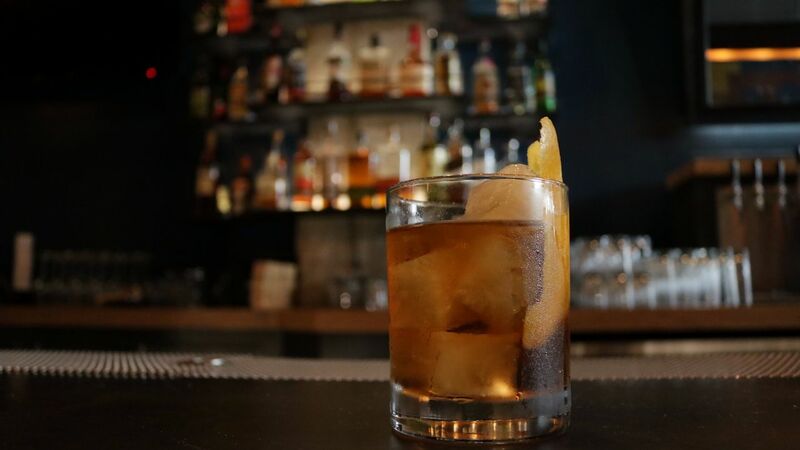 In my opinion, the Rolled Fashioned cocktail is a great example of how fall flavors and aromas can come to life in a glass. As our sweet modifier we use a homemade sarsaparilla reduction that consists of 20 different culinary and medicinal herbs that we make in house. We then marry an aged Mezcal, and a killer bourbon from Chicago, as well as orange oil and aromatic bitters. Top this off with our proprietary floral and aromatic CBD tincture, and you can get ready to put on that Cosby sweater, hit that recliner chair and get cozy. Fig & Olive: This one is our classic fall cocktail. 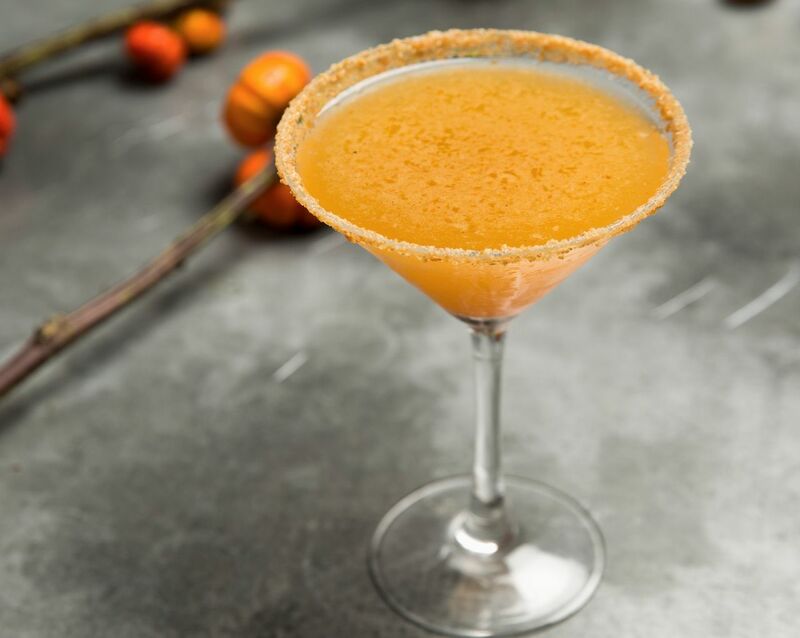 Smooth and rich with a subtle spice vanilla bean infused vodka, spiced pumpkin butter, apple brandy, ginger, and lime and garnished with crushed graham crackers. Constantin Alexander (Beverage Director for Hakkasan Restaurants): The Truffle Shuffle is a modern, savory take on a classic Old Fashioned. The slightly sweet butterscotch reduction plays nicely with the savory aspects of truffles. Add some high quality rye whiskey to that mix, and you have a drink that makes you feel warm and cozy during cooler times. White vermouth, tru roots tonic and orange peel. Paper or Plastik: This Spanish classic has finally made it to Los Angeles, but we are using a family-run winery from Washington State for the vermouth and a locally-brewed tonic water from Downtown LA. Refreshing and herbaceous, this cocktail will make you 'fall' in love with vermouth. Julian Hard Apple cider, Tempranillo wine, Honey, cinnamon, orange, whole cloves, and star anise. 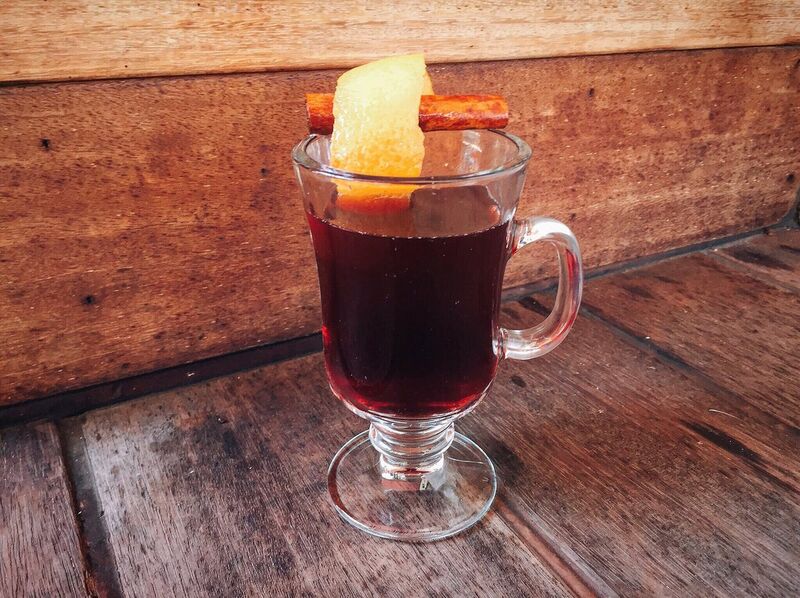 Ann-Marie Verdi (Owner/ Beverage Director): Mulled wine reminds me of Christmas, and I love Christmas! We don't get many cold and rainy nights in Southern California, so as soon as fall rolls around and the temperature starts to drop, I make a batch and curl up fireside. The version we make at The Bellwether incorporates Julian Hard Cider for a slightly boozier version... and who doesn't love more booze during the holidays! Kecia Hook (Asst. 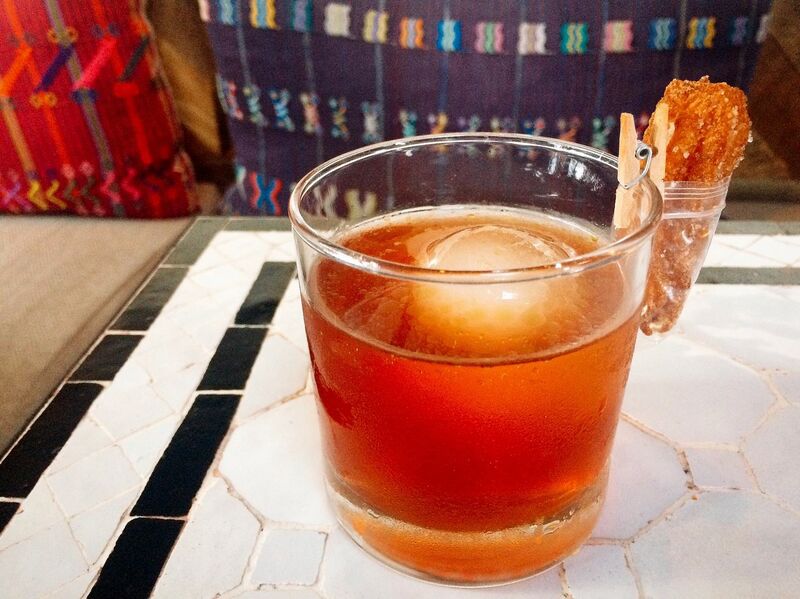 GM) & Justin Graham (Bar Manager): The Jersey Handshake is our twist on a Veiux Carre cocktail. We are huge fans of August Uncommon Tea, an artisanal, small batch tea created in Downtown LA and wanted to use one in a cocktail. 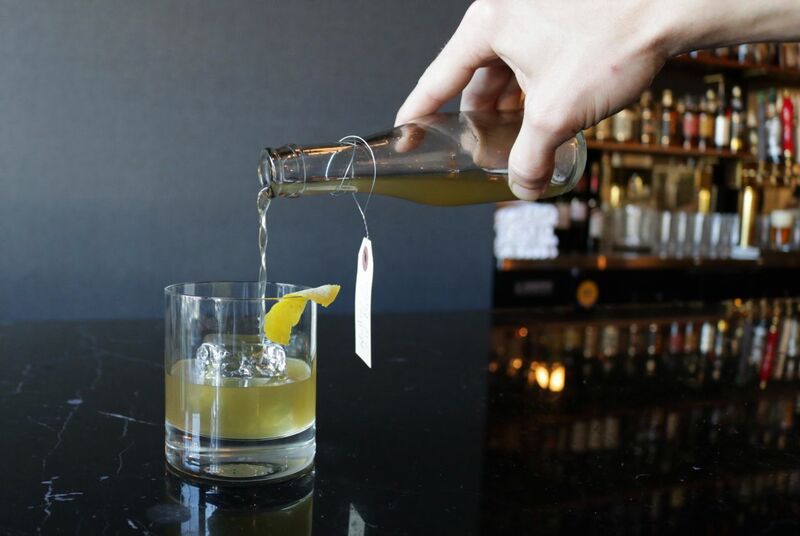 Their Silencio tea plays wonderfully with the vermouth and apple brandy, making it a perfect fall-inspired drink. Nicholas Krok (Co-designer, Bar Program): The flavors and spices of the Improved Whiskey Cocktail are the epitome of fall for me. A nice spicy-sweet bourbon, spiced maraschino syrup, clove infused absinthe and Angostura bitters to really bring out all the fall flavors. It reminds me of when I used to build forts from couch cushions in my family's den, right in front of the fireplace. Mom baking an apple pie heavy with cinnamon, clove and all-spice. Dad enjoying a glass of his favorite bourbon after hauling leaves around all day. It's a true feeling of comfort and safety. Especially in a climate where we don't have a physical reminder of seasons changing, it's nice to remind ourselves of the constant, albeit subtle, cycle happening around us. Being able to give that lovely little reminder to folks through our craft is what this cocktail is all about. The name Birch is a subtle homage to chef Brendan Collins’ hometown of Nottingham, England, where he grew up near a copse of birch trees. This restaurant is the culmination of his journey as a chef – from his ten years working in Michelin-starred fine dining establishments throughout Europe to his planting of roots in Los Angeles more than a decade ago. Known for his ability to present flavor-rich and composed food, he continues to offer that same sensibility with an easy approachability.